For those wanting to combine a visit to the world famous Golden Temple of the Sikhs with the beauty of Kashmir. Amritsar is home to the Harmandir Sahib, also known as the Golden Temple, the spiritual and cultural center of the Sikh religion. 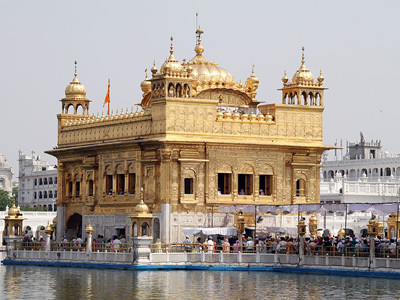 This important Sikh shrine attracts more visitors than the Taj Mahal in Agra as it has more than 100,000 visitors on week days alone and is the number one destination for non-resident-Indians (NRI) in the whole of India. The 9th Sikh Guru Teg Bahadur was killed by the Mughals in Delhi where the Guru Sish Ganj Gurudwara was built to commemorate him. The Golden Temple - This beautiful temple complex was rebuilt in 1803 by the Sikh Ruler Maharaja Ranjit Singh in marble and gold. The domes of the temple took 400 kgs. of gold leaf to be covered. The important shrines notably are the Akal Takht where the arms of the warrior Gurus dress and emblem can be seen. 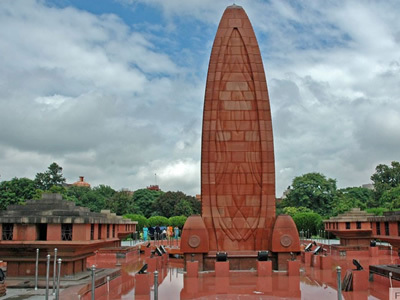 Jallianwala Bagh - it bears testimony to the disaster called Jallianwala Bagh Massacre at the time of the rule of the British Raj. A congregation, attended by several Punjabis on the occasion of Baisakhi (New Year) celebrations on 13 April 1919 was set on fire by General Dyer. Durgiana Mandir - Located close to the Golden Temple, this temple, modeled in the style of the Golden Temple, is dedicated to the Hindu goddess Durga. Believed to have been built in the 16th century AD, the temple stands in the center of a lake. 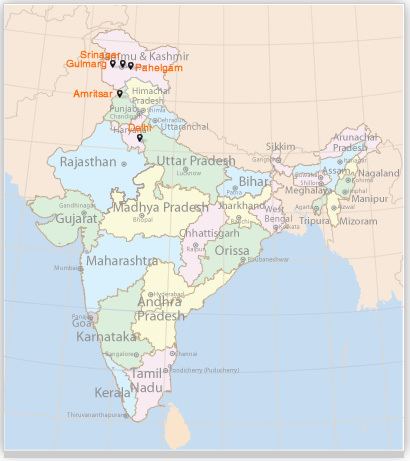 Wagah Border- Wagah check-post on the Indo-Pakistan border is just 28 km from the main town of Amritsar. Here crowds throng to see the change of guards ceremony and the flag hoisting and lowering, all done with great skill and precision. Srinagar, pride of the beautiful valley of Kashmir famous for its lakes dotted with Shikaras and the Mughal Gardens. 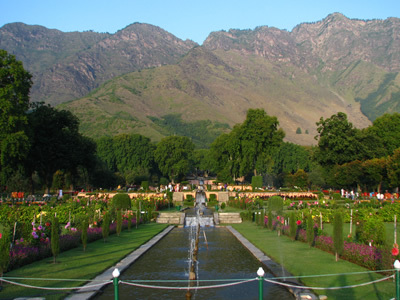 Local sightseeing tour to famous Nishat Garden known as 'Garden of pleasure' built in 16th century (1633) by Mughal Emperor Asif Khan. Then visiting Shalimar Garden known as 'Garden of love' built in 16th century (1619) by Mughal Emperor Jahangir for his beloved wife Noor Jehan or (Mehr-un-Nissa) also visit Chashme Shahi Later visit to famous Pari Mahal, Shankaracharya temple situated on top of a hill where you can have a view of whole Srinagar City. Also visit the world famous Tulip garden in Srinagar. Rest of day free at leisure to enjoy Shikara ride on Dal Lake. 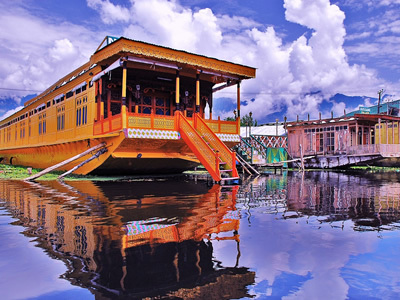 Enjoy overnight in houseboat on Dal Lake. Drive to Gulmarg, Meadow of Flowers. 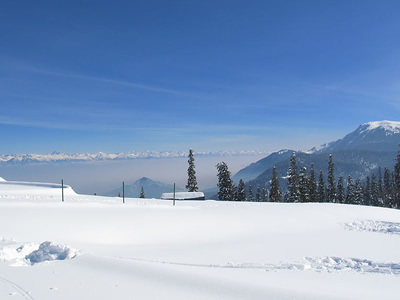 Situated at an altitude of 2730 meters, full day at leisure to take the leisurely walks on the lush green meadows of flowers with a backdrop of the snow capped mountains. Overnight stay at houseboat. Drive to Pahalgam, Valley of Shepherds. Enroute you will have an rare opportunity to visit the Saffron fields. 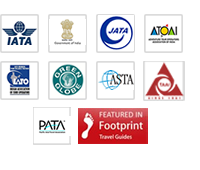 Also visit Avantipura Ruins & Anantnag Sulpher Springs. Overnight stay at houseboat. Morning free. Afternoon fly to Delhi for onward journey. Room with breakfast (all meals on houseboat) + air-conditioned car with driver + English speaking/language guide/naturalist for all sightseeing& safari.